Whether introduced to the work of Barry Jenkins through his Best Picture winner, Moonlight, or his previous film Medicine for Melancholy, two things should be clear. He will explore the subject of love from an unexpected perspective, and he'll do so in a beautiful, poetic way. And you'll find the same holds true for his latest film, If Beale Street Could Talk, which has many already predicting another Oscar nomination for the director. 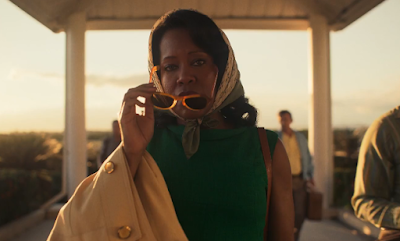 A "final" trailer has been dropped for the adaptation of James Baldwin's novel, and it's lyrical in its simple beauty. Featuring an ensemble cast to die for including Kiki Layne, Stephan James, Regina King, Colman Domingo, Tayonah Parris, Dave Franco, Brian Tyree Henry, Ed Skrein, Diego Luna, Pedro Pascal, Finn Wittrock, Emily Rios, and Michael Beach, the story follows young lovers who find their relationship tested by the law in 1970s Harlem. It'll be interesting to see whether audiences let this film stand on its own or if Moonlight will always be the bar that Jenkins must reach. I'm hoping it's the former.